Separation Of Children From Asylum-Seeking Families Not ‘Politics As Usual.’ It’s Personal. My name is Marpheen Chann and I am a board member at the Greater Portland Immigrant Welcome Center and organizer with Mainers for Accountable Leadership. On June 30th, I helped organize and MC’d the #FamiliesBelongTogether rally at Portland City Hall. According to the Portland Press Herald, nearly 2,000 Mainers showed up to stand in solidarity with immigrants, refugees, and asylum seekers. The rally would not have been a success without organizations like Mainers for Accountable Leadership, the Greater Portland Immigrant Welcome Center, ACLU of Maine, Maine Immigrants’ Rights Coalition, the Immigrant Legal Advocacy Project, and many others who jumped on board to help spread the word and show up. Not Just Political. It’s Personal. We all agree there are many reasons why we as a nation resist and demand an end to the inhumane and unjust policy of separating innocent, immigrant children from their families; and the “Zero Tolerance” policy to prosecute their parents and relatives, who have a right to seek asylum under international and U.S. law. For me, this isn’t just about politics as usual; it’s deeply personal. 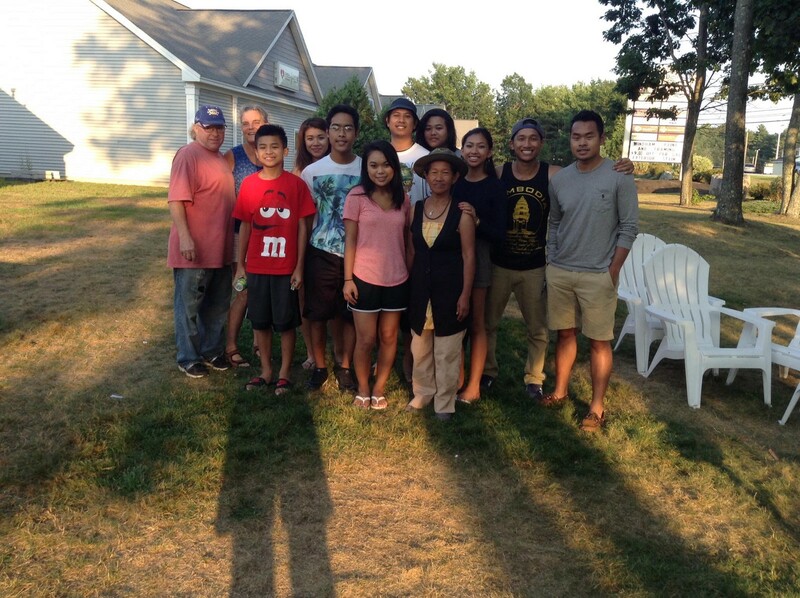 Cambodian family with adopted family. 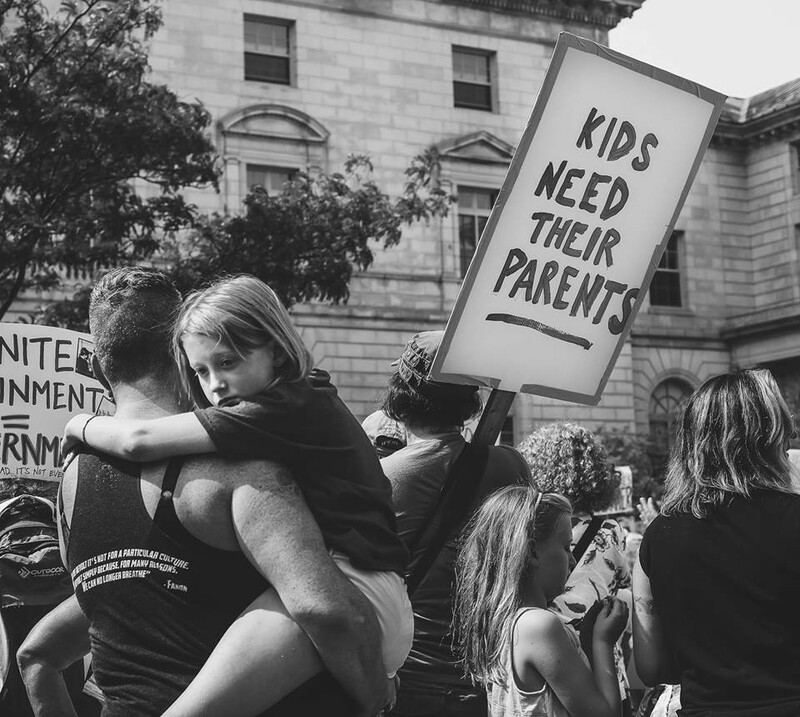 So I stepped up and got involved to help organize the #FamiliesBelongTogether rally in Portland, Maine, to help raise awareness and help build a movement to hold our leaders accountable and bring an end to the inhumane and unjust policies that target immigrants, refugees, and asylum seekers. We Marched. Now We Build A Movement. Families and children are being separated, divided, and detained. Will we unite and fight as one to take on the Trump Administration? It will take more than one movement and many lifetimes to see change. That is the truth. Because, as the saying goes, the arch of the moral universe is long, but it bends toward justice. Let us bend it a little more. And there are many in this country who want to go back and to relive the past, but you and me we don’t want the same old story. We want to write a new one. A story where every man, woman, person and child are treated with dignity and humanity. A story where our struggle is not one that divides people and separates families; our story should be the struggle of progress and prosperity for all of us — not just some of us. But a new story can’t write itself. You and me, all of us, we must march. We must protest. We must rally, raise our voices, vote, and speak truth to power. We must write a new story for humanity now… or they will write it for us. Gay, first-generation Asian-American and Portland, Maine-based thinker, writer, and speaker on LGBTQ+ and immigrants’ rights, social justice and equality.